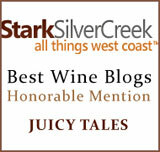 Wine Blog » Blog Archive » Wine Comparisons ~ A 1970s Petite To a 2003: How Does One Even Begin? 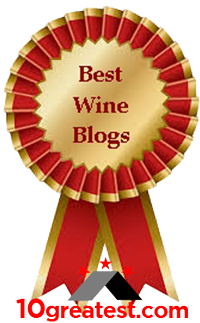 Wine Comparisons ~ A 1970s Petite To a 2003: How Does One Even Begin? When a wine consumer asks the question, someone has to tackle the answer. As I was writing the answer to a great question, I thought… This answer is taking into account all that I’ve learned in the last 15 year. There’s no way I could have answered this even six years ago, because I now have intimate family details for the Foppianos that I’ve learned as their story teller. Is there anything I’ve forgotten here? I’m betting the wine experts among us could still shed some light on my answer for this complex question. 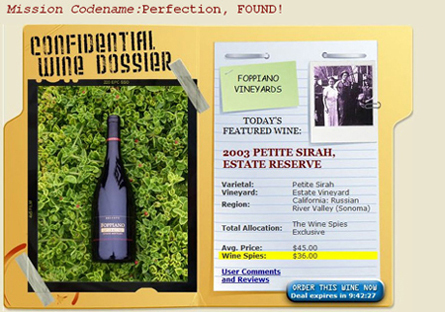 The question was sent to Foppiano Vineyards as a result of the Wine Spies offering the 2003 Foppiano Reserve Petite Sirah for $36.00, versus the suggested retail of $45.00. [Q] How does this compare with the Le Grand Petite of the early 70s? [A] Thanks for your question. We’ve circulated it around the family, because a lot of time that has passed between the Petites of the early 70s and this 2003 Foppiano Reserve Petite Sirah. The only constant is the variety, the intent by the family to produce the best possible Petite Sirah that they’re capable of producing, and Petite being the wine for which they’re well known. • Let’s start in the vineyards…Vineyard manager was Rod Foppiano, under the guidance of his father, Louis J. Foppiano. The vineyards were a field blend back then, so they contained what we call today “ the spice rack” of flavors… Carignane, the old burgundy vines, etc. Today the vineyards are managed by Rod’s son Paul Foppiano, who took his father’s viticulture, learned his own style at Sausal, and returned to Foppiano to blend the old ways with the new… including replanting according to sun exposure, soil components, trellising, crop thinning, etc. 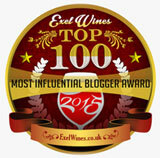 • Next, the winemaker in the 1970s was also Rod Foppiano. Rod passed away in March of 1984, so 1983 was his last vintage. With the 1984 vintage, it became winemaker Bill Regan’s harvest. Bill produced all new vintages until the 2007 vintage. Under Rod’s guidance, Bill learned the Foppiano methodology, but soon shifted into using new techniques, different oak treatment, etc., with wines now becoming higher in alcohol, acids, and in pH. • Reserve wines (those only released with fruit deemed great by the wine maker) were released beginning in 1987. All wines before that were simply the Foppiano Wines. Susan Foppiano Valera only remembers Le Grand Petite being the 1993 vintage, so you may be referring to this one? 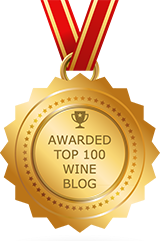 • If you’re familiar with the 1970s wines, I don’t have the technical data for those, except to know that the alcohol for those was in the 12 percent range. This current vintage is 14.6 percent alcohol. That’s quite a bit of difference for a flavor profile, regardless of vineyards and anything else done by the winemaker. Between winemaking equipment, winemaking styles, and wine being designated as a “Reserve” wine, I’m back to the beginning… The variables are many, but the constants are the family’s commitment to producing the greatest wine possible, the family’s historical presence in the wine business, and Petite Sirah being the foundation of the family’s name. I’d actually be interested in knowing your impressions, if you decide to purchase this wine, because you may be the better expert in the final analysis… You’ve got the memory that none of us were able to tap into with this question. As far as I’m concerned, everyone’s got his or her own palate, and I’m very interested in what others have to say, especially in this historical context and perspective. What have I missed? I’m betting there’s still a lot more to consider.